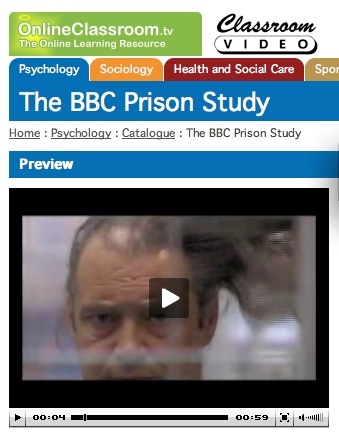 In January 2009, a DVD of the BBC Prison Study was released by Online Classroom, a specialist producer of educational resources. The DVD contains an overview of the study's purpose, structure and findings, together with a range of additonal resources. Further details are available here.